Juventus announced the placement of €175 million bond, a first venture into the international stock market for the club. “Following to the Board of Directors’ resolution, Juventus Football Club S.p.A. announces the placement of €175 million non-convertible bond due on 19 February 2024 reserved to qualified investors. The notes will be issued at a price of 99.436% and will pay a fixed annual coupon of 3.375%. The Issuer will request for admission of the notes to listing on the multilateral trading facility (i.e. MTF) Global Exchange Market of Euronext Dublin. The settlement of the notes is expected on 19 February 2019. The successful transaction attracted orders for an amount in excess of €250 million, receiving demand from Asia, Germany, France, United Kingdom and Italy. The purpose of the issuance is to provide the Company with financial resources for its general corporate purposes, streamlining the structure and the maturity of the debt. Morgan Stanley acted as Lead Manager and UBI Banca S.p.A. as Co-Lead Manager in connection with the placement of the notes. The Managers have been advised by Allen & Overy – Studio Legale Associato and the Company by Pedersoli Studio Legale. This press release is not, and shall not constitute, an offer to sell or a solicitation of an offer to buy the notes, nor shall there be any sale of these securities in any state or jurisdiction in which such an offer, solicitation or sale would be unlawful or restricted by law. “[I have] great satisfaction with the operation carried out. It is a corporate loan, therefore issued directly by the company and not by a vehicle. 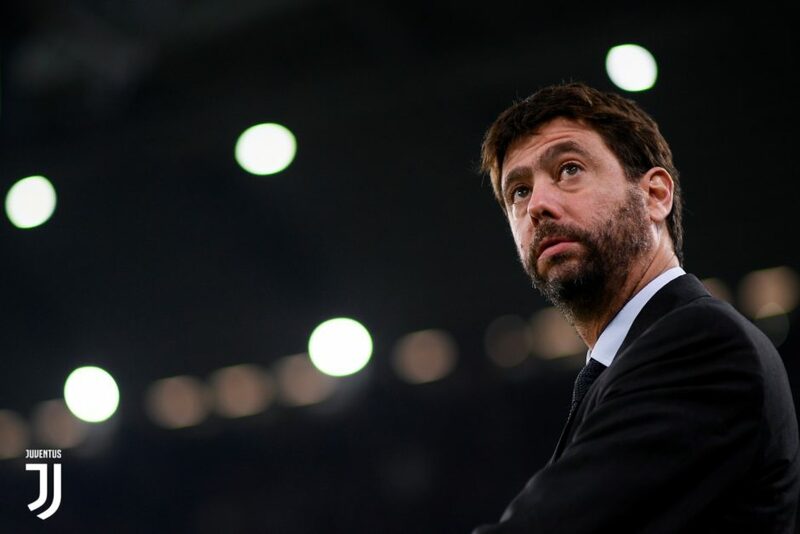 It is an operation that also confirms the planning ability of Juventus. With pride, I can say that we are the first football club to issue a bond with these characteristics, given that we are talking about a senior, unsecured loan ,pioneering and innovative in its approach to the market. “An operation that also confirms Juventus’ planning capacity: In these months, the CFO Marco Re has completed the loan transaction, the CRO Giorgio Ricci has completed the renewal deal with Adidas and other operations while the Chief Football Officer, Fabio Paratici, has acquired Aaron Ramsey on a free transfer. “This is the first unsecured senior bond issued by a football club…. this is a single operation, it has no guarantees and has not provided for the establishment of vehicles to manage the operation as happened in similar cases. “It is also an unrated bond, the first in Italy since January 2018 and the first in Europe in 2019. Cold investors? The transaction was well received and was also signed without relying on the rating. More than 190 investors viewed the presentation, with the greatest feedback from Italy, the United Kingdom, Germany, France but also Hong Kong and Singapore. Types of investors? We obviously maintain a certain reserve, but we can say that it is the classic audience of qualified investors, with cuts from 5 to 30/35 million euros. Success is a sign of confidence on the part of the market, which recognizes our solidity. “The objective is to provide the company with new financial resources, optimizing the structure and the maturity of the debt at a convenient cost, given the time of the market. This is a new approach for Juventus, in line with the main industrial sectors that do not only resort to bank loans. It will simply be an instrument to replace or complement what we already had for debt, such as bank credit lines. It will be used entirely to restructure our debt, the dynamics of which are independent of how the loan is financed. It is an alternative way of financing. “Debt dynamics were in place independently of the issuance of this early 2019 and are carefully monitored, and because there are physiological limits, debts must be returned at some point. “New bond issues in the future? There is currently no subsequent issuance program: Bonds for retail audiences? It is not on the agenda, we will look into the future, and for now we have turned to institutional investors. Currencies? No, not at the moment “.